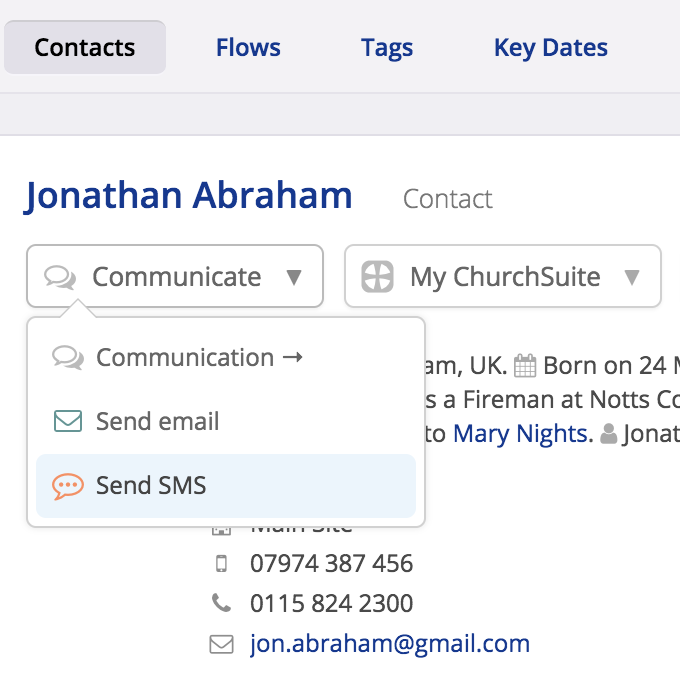 You can send scheduled SMS messages from any "Communications" page in ChurchSuite, or when communicating direct from any contact's profile page. If you want to send a scheduled SMS, on a "Communication" page in any module, locate the shaded box at the bottom of the page that says "SMS" and click on the "Compose SMS" button to write your message. Alternatively, you can communicate directly with an individual contact from the contact profile page. 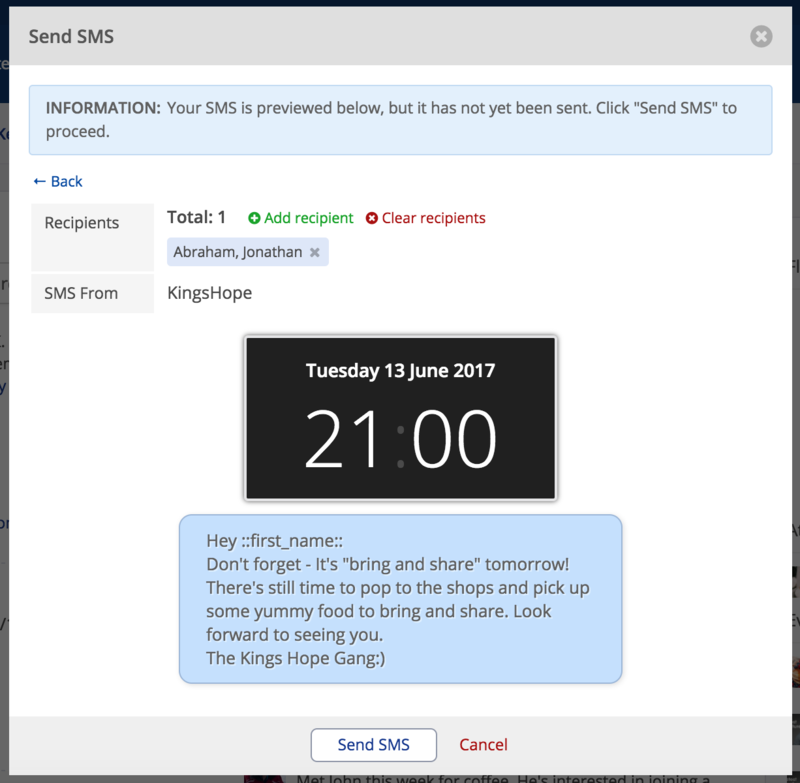 In both instances, the familiar "Send SMS" dialogue box opens and where you can type your message, add optional merge fields for personalisation, or recall a Preset SMS. Importantly, here you can also set the Date and Time for your Scheduled SMS. Now, click the "Send SMS" button to preview the message before sending. Once you are happy, click "Send SMS" and the message is submitted to your SMS host (e.g. Textlocal, Bulk SMS, Twilio) and will be sent by them at the appropriate time. The SMS is logged immediately in the communications log of each contact, with the word "Scheduled" noted. 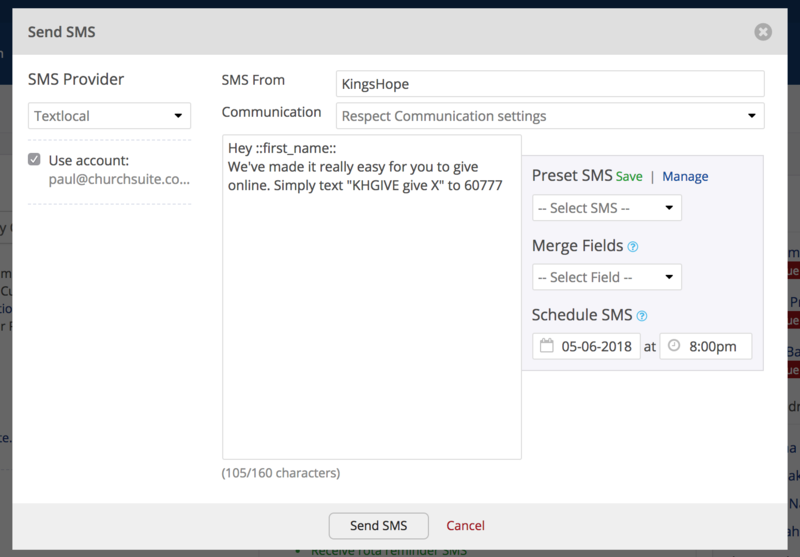 Unlike email messages that are managed and processed within ChurchSuite, SMS messages are processed through a third-party integration. Consequently, once a scheduled SMS has been created, it immediately moves from ChurchSuite through the SMS integration and is stored with your SMS service provider until the allotted date/time for it to be sent. Therefore, in order to cancel a scheduled SMS message, it is necessary to do this within the control panel of your SMS provider. In this article we explore how to cancel a scheduled SMS with Textlocal. The same principles apply for other SMS providers like Twilio and BulkSMS, although their control panel and menus will obviously be different. We recommend you consult the help articles provided by the respective SMS providers. 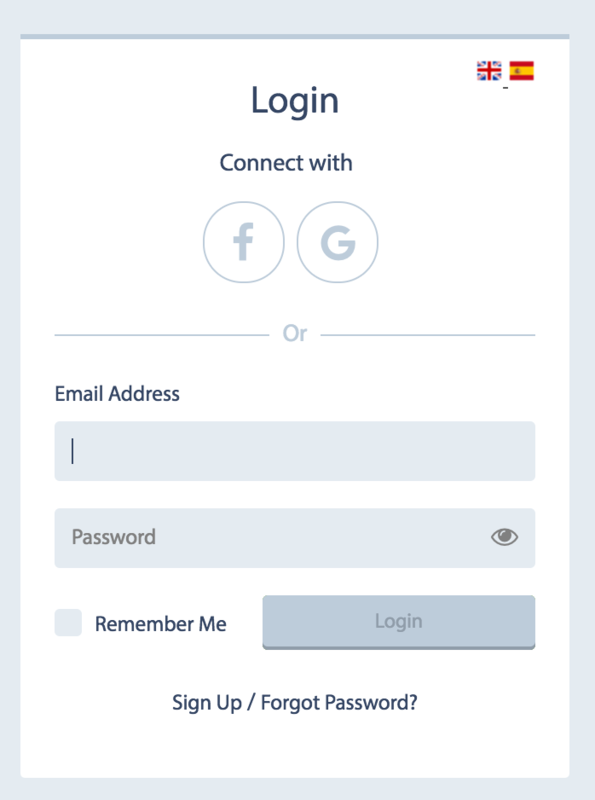 To cancel a scheduled SMS with Textlocal, log into your account control panel via their website. Enter your church's login credentials. 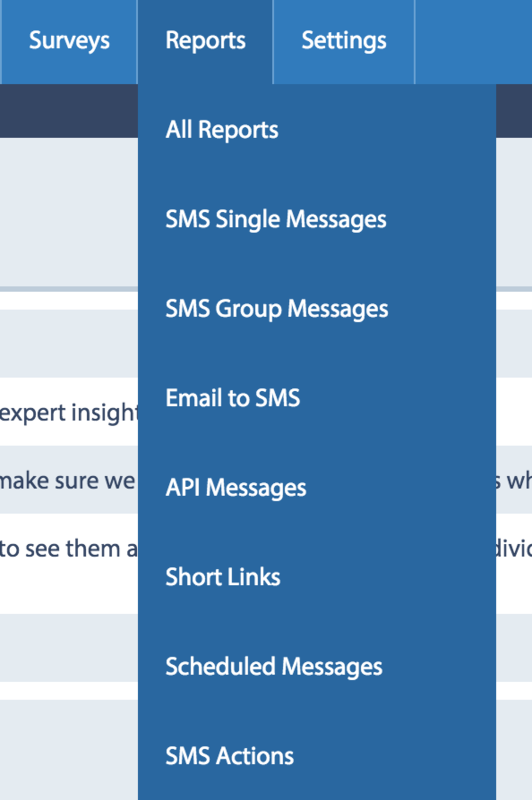 From the TextLocal control panel, locate the "Reports" menu and select "Scheduled Messages" (Near the bottom of the menu). The next screen will list all your scheduled messages. Note that each SMS is queued individually, so if you have sent a group SMS to 20 contacts, you will see 20 scheduled SMS messages listed. Select the messages you wish to cancel by ticking the checkbox on the left-hand side. It is not possible to edit a scheduled SMS once it has been submitted; it can only be re-scheduled or deleted. 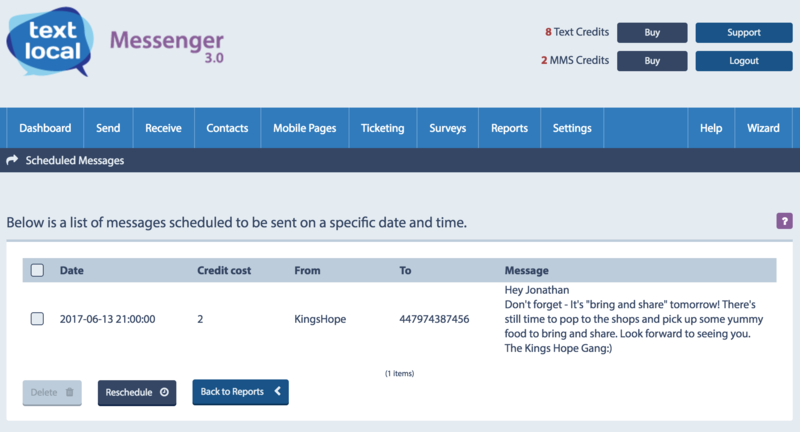 Also, it is not possible to record in your ChurchSuite communications log that an SMS was cancelled - your comms log will still show the SMS scheduled as being sent through ChurchSuite, but not that it was subsequently cancelled within the service provider's control panel. Regrettably this is beyond our control. Perhaps add a Note against the contact as a future record that the SMS was cancelled.